I'm going to declare that my favorite color is cobalt blue. 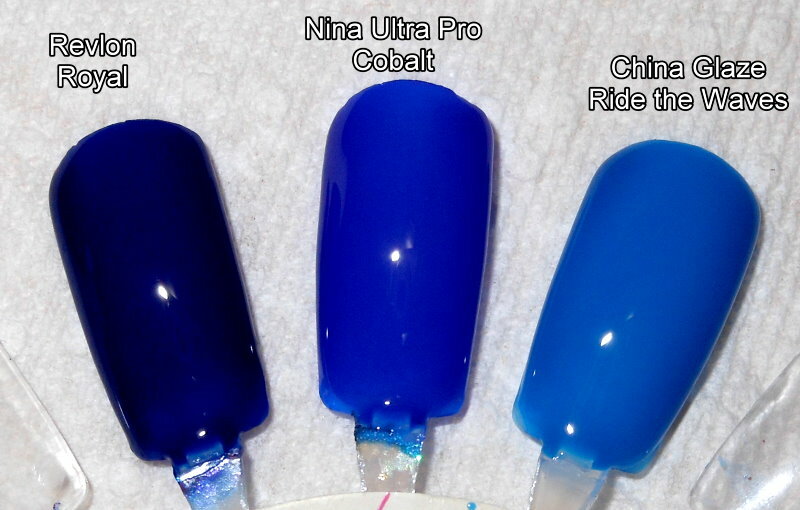 I think I've almost purchased every cobalt blue nail polish out there. I cannot get enough of this color. I think what draws me to that color is how it is both rich and bright at the same time. It just makes me happy. Since it's Monday, and Mondays are rather blah, I will share a cobalt blue I picked up recently. Cobalt=happy. I am implanting that in your minds. 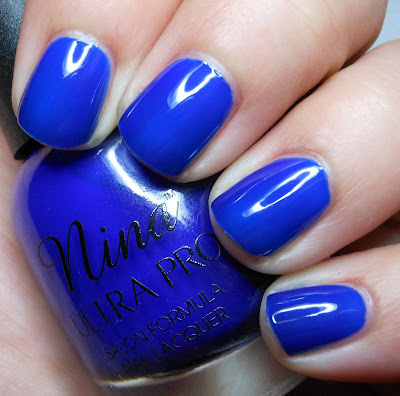 Whenever your see cobalt blue you will feel happy. I'm so weird. 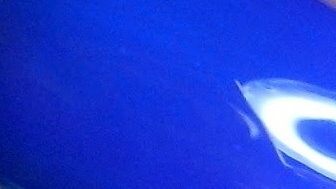 Cobalt is well... a cobalt blue jelly! Yeah, this is a amazing. This color is beautiful. It is bright and rich. The formula I thought was great too. Awesome blue. I have no complaints, other than the brush isn't my cup of tea. I got this at Sally Beauty Supply. It's in the core line! This is so gorgeous on you. That's why you love it so much!!! And I don't think you're weird, you crack me up actually. Every time!! Super pretty! I love this color blue. I wore this color last week! Love it! I do wish it had worn a little better, I got tip wear faster than I expected, even though I wrapped my tips. I also just bought Revlon's Royal hoping I have a little better wear when I use it. Stunning! I just bought two Nina Ultra Pro polishes (Molten Gold and Holo Top Coat) and I noticed the HUGE brush. I haven't tried it yet, but I'll be swatching them this week! Wow, that is such a poppin' blue! Eeek! I need to get this. I need to get this and decant into a better bottle, lol! It's so beautiful!! I love cobalt blue. :-) I haven't seen the new brush yet, though, so I don't know if I'd actually want to pick this up. This is beautiful! I totally love cobalt blue, too. I can't help but wonder how close this one is to nails inc Baker Street. Oooh, I like this! My Revlon Royal has gone all crazy on me, so I think I should pick this up! Steph, I can see why you have a soft spot for cobalts - they look so vivid on you! Your manicure is absolutely perfect. Beautiful! Thanks for the comparison swatches of other blues. Although they're all lovely, I prefer the Nina Ultra Pro - bright and bold! Thanks for a great comparison of my favorite blues. I love blue as well, and now need to pick this one up as well. I have the others already, lol. How does this compare to Baker St?